Laser Skin Resurfacing being performed on patient in procedure room at Atlanta Face & Body in Vinings. The gradual development of facial wrinkles, whether fine surface lines or deeper creases and folds, is the classic early sign of accumulated skin damage and inevitable aging. In addition, premature aging and wrinkling of the skin may be accelerated by excessive exposure to the sun and other elements. This is more common now than ever. Fortunately, facial plastic surgery can reverse the effects of both aging and sun damaged skin. At Atlanta Face & Body, Laser Skin Resurfacing is used to removed the damaged skin cells that can contribute to fine lines and wrinkles. Laser Skin Resurfacing may also improve the pitted look of acne scars and remove pre-cancerous skin growths called keratoses. 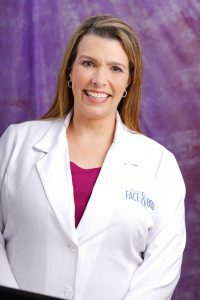 During your consultation, Dr. Elizabeth and her staff will learn more about what you want to accomplish, explain the procedure to you in detail, and give you all the information you need to decide what’s the best approach for you. 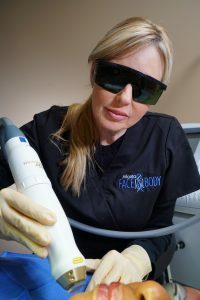 During laser skin resurfacing, precision laser beams target the epidermis and upper dermis of skin in the treated area. The laser precisely removes a pattern of microtunnels of skin at a time, leaving small bridges of intact skin in between the tunnels to facilitate healing. A combination topical and local anesthetic is often used for smaller treatments, and combined with relaxation or IV sedation if the entire face is being treated. The treatment can take from 15 to 45 minutes, depending upon the area being resurfaced. The skin heals from resurfacing in 3-7 days. During this time, the skin is kept moist to facilitate healing. Your skin may look like a mild sunburn for a few weeks, but this can be covered up with makeup. As the treated area continues to heal, the redness diminishes. You will need to limit your sun exposure for at least 6-12 weeks and should wear sunscreen daily. 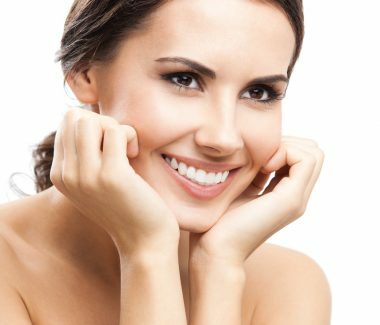 After laser resurfacing, skin can be smoother, tighter, and younger looking.